On 20 June 2016 (with perfect, even poetic, symmetry, the very day on which this year’s midsummer solstice will fall), actors from the People’s Theatre, Heaton, will take to the stage at Stratford upon Avon for the first time, alongside the Royal Shakespeare Company, in a performance of ‘A Midsummer Night’s Dream’. They will perform an encore the following night. The troupe has already played the parts of the ‘mechanicals’ (Nick Bottom, the weaver; Peter Quince, the carpenter; Snug, the joiner; Francis Flute, the bellows-mender; Tom Snout, the tinker and Robin Starveling, the tailor), the comic characters who perform a play within the play, to critical acclaim at our own Northern Stage. But The People’s connection with Shakespeare goes back almost 100 years and, although the theatre company wasn’t based on this side of the city then, Heaton was nevertheless already centre stage (if you can forgive the pun) and has remained deeply connected to both the theatre group and the bard. The People’s was founded in 1911 by members of the Newcastle branch of the British Socialist Party to raise money to fund their political activities and enable them to pay the rent on their meeting rooms at the corner of Leazes Park Road and Percy Street. (Today you’ll find Tea Sutra Teahouse in what was to become the new company’s first home). 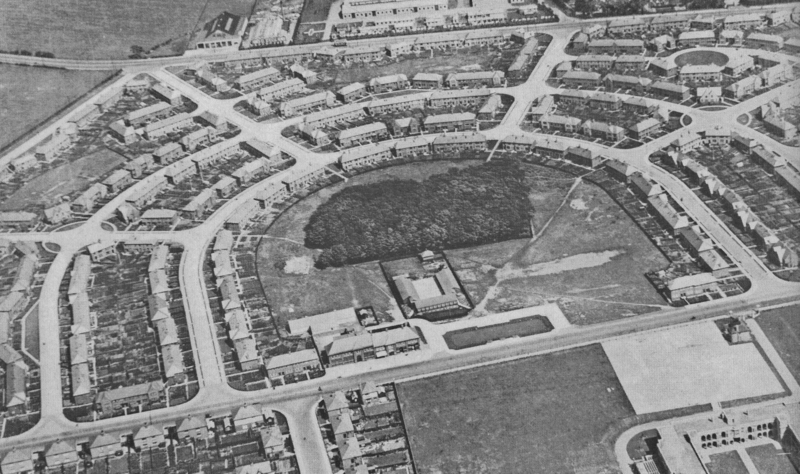 The first meeting of around half a dozen interested members was dominated by one family: 32 year old telephone engineer, Norman Kidd Veitch, and his wife, Edith, who lived at 19 Stratford Grove Terrace, Heaton and, Norman’s younger brother, Colin Campbell Mackenzie Veitch and his wife, Minnie, who lived just around the corner at 1 Stratford Villas. 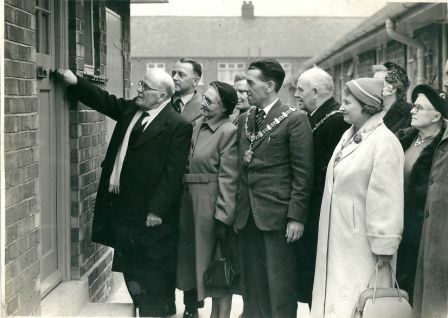 Fittingly both couples lived in what we now call Heaton’s ‘Shakespeare Streets’, a group of roads with connections to Shakespeare, the story of which goes back to the 1864 celebrations of the 300th anniversary of Shakespeare’s birth. Colin was, of course, a professional footballer, still fondly remembered as Newcastle United’s most successful captain in the Edwardian era, during which the club won three Football League Championships and graced Wembley six times in seven years, at a time, of course, when FA Cup semi-finals weren’t played there, and the first League Cup was still fifty years away. But there was much more to Colin Veitch than his football talent, immense though that was, as shown by his presence at that inaugural meeting of the Clarion Dramatic Society, as it was then called. Sometime between the initial meeting and the society’s first dramatic performance on 11 July 1911, Veitch captained Newcastle United, the holders, in the 1911 FA Cup Final (which they lost 1-0 to Bradford City after a replay at Old Trafford) but he was by now approaching 30 and in dispute with Newcastle United, and so although it was only the outbreak of WW1 which brought the final curtain down on his playing career, he was ready for new challenges. The Veitches, as well as being keen socialists – Colin was a founder member and later chairman of the Association Football Players Union (now the PFA) and turned down the invitation to stand as a Labour MP – were all lovers of the arts. 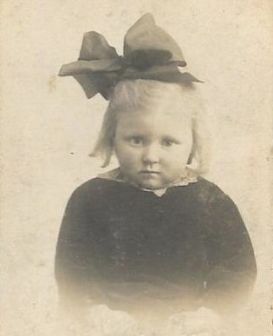 Minnie was a star of Newcastle Amateur Operatic Society, where Colin, Norman and Edith were members of the chorus; Colin wrote music and conducted; Edith and Norman both wrote plays, a number of which were performed by the Clarion and later The People’s, so what started as an income generator for the British Socialist Party soon took on a life of its own. From the beginning, the Clarion were ambitious. They performed the works of George Bernard Shaw, the eminent contemporary – and socialist – playwright. They also performed Ibsen, Galsworthy, Chekhov and other great playwrights. As Norman Veitch said: ‘ If we are going to murder plays, let us murder the best’. In 1920, the company invited George Bernard Shaw to see them perform. Shaw replied ‘I wouldn’t travel so far overnight in a railway train to meet Shakespeare himself’ but come he did on 25 April 1921 to see the company perform his play ‘Man and Superman’, with Colin Veitch playing the part of Old Malone. The next and final play of the landmark 1920-21 season was ‘The Merry Wives of Windsor’,the Clarion’s first Shakespearean production. Colin Veitch was Falstaff, Minnie and Edith merry wives. Norman Veitch later wrote that ‘it was a jolly and inspiring performance’. That summer, the Clarion was renamed The People’s Theatre and Shakespeare became a staple: ‘Antony and Cleopatra’, ‘The Comedy of Errors’, ‘Coriolanus’, ‘Cymbeline’, ‘Hamlet’, ‘Henry IV Part 1’, ‘Julius Caesar’, ‘King Lear’, ‘Love’s Labour’s Lost’, ‘Measure for Measure’, ‘The Merchant of Venice’, ‘A Midsummer Night’s Dream’, ‘Much Ado About Nothing’, ‘Othello’, ‘Pericles’, ‘Richard II’, ‘Romeo and Juliet’, ‘The Taming of the Shrew’, ‘The Tempest’, ‘Troilus and Cressida’, ‘Twelfth Night’, ‘Two Gentlemen of Verona’ and T’he Winter’s Tale’, were all performed before the company moved to Heaton. 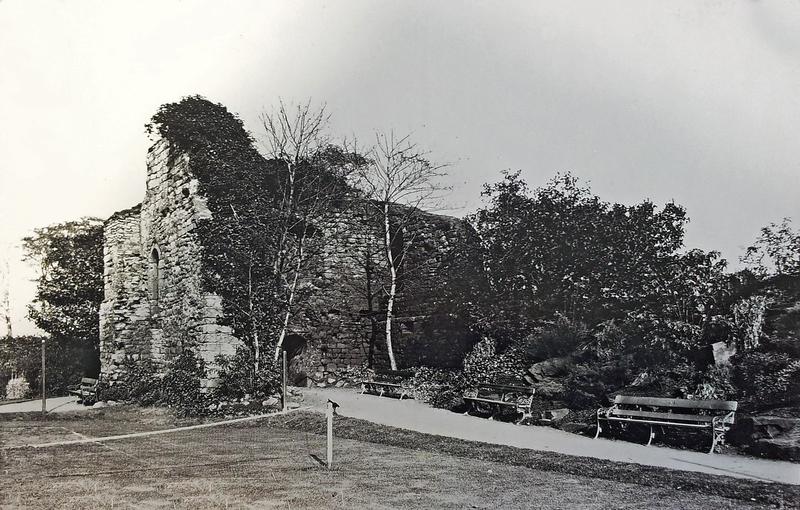 The People’s Theatre was based in a disused chapel in Rye Hill from 1930 but by 1953 the company recognised it had outgrown the premises and they set their sights on their own arts centre. A public appeal was launched in 1955 at a luncheon attended by Sir John Gielgud and Peggy Ashcroft. 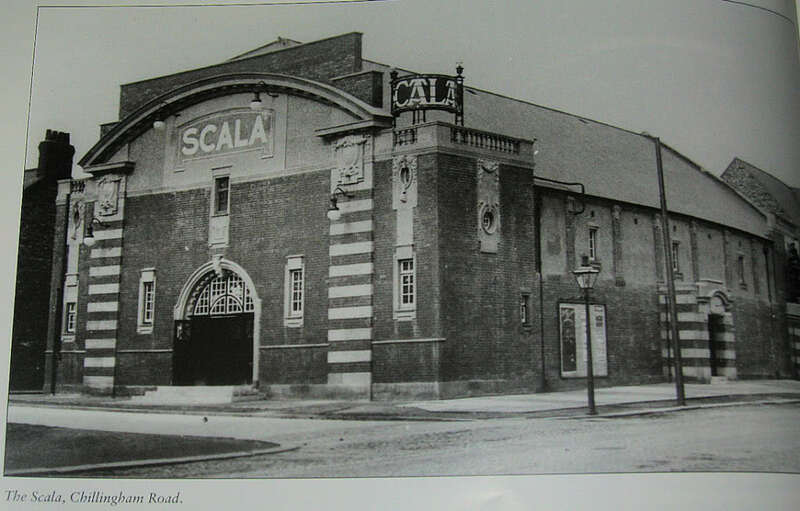 Eventually by 1959 a suitable building was found and enough money was in the bank to start to convert it into a theatre. The building was the recently closed Lyric Cinema, next to the Corner House on Stephenson Road (the Coast Road). It reopened as a theatre on 24 September 1962, with Shaw’s ‘Man and Superman’ (of course!) and the season appropriately ended with the People’s first Shakespeare performance in Heaton, a Christmas production of ‘Twelfth Night’. The official opening by Princess Alexandra followed on 20 October 1964. 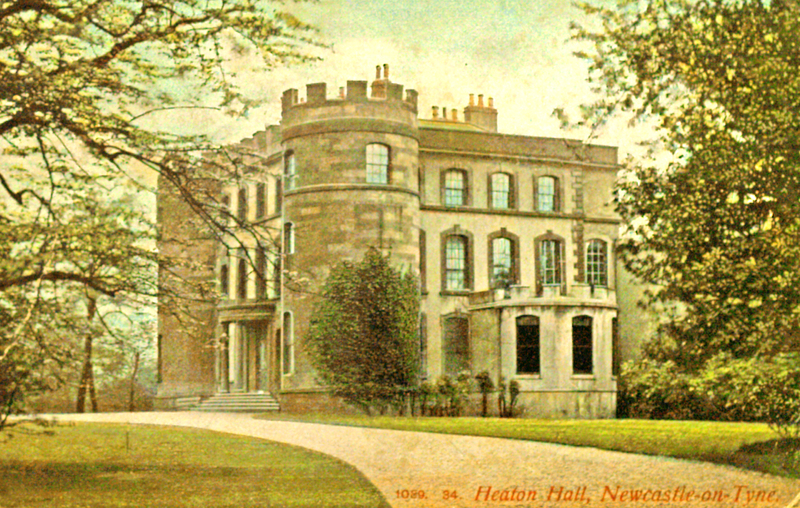 The company continued to bring new Shakespeare plays to Heaton audiences eg Henry IV Part 2 (1965), Richard III (1967), Henry V (1981) but soon there was an even more exciting development, which cemented the east Newcastle relationship with Stratford which had begun with Frank Benson’s company in 1895. The RSC had made Newcastle its third home in 1977, bringing productions annually from Stratford to the Theatre Royal and the Gulbenkian, but in 1987 and 1988 they needed a third venue and so actors such as Jeremy Irons and Brian Cox trod the People’s boards. The second season will always be remembered for a particularly gory production of ‘Titus Andronicus’, after which reports of fainting audience members even made the pages of ‘The Sun’! The RSC returned to Heaton in 2004 when the Newcastle Playhouse (now Northern Stage) was undergoing refurbishment. It’s an honour for both the People’s and Heaton for our own theatre company to be able to accept a return invitation to Stratford twelve years later in this most special of seasons for both theatres. There’ll be a few charabancs of Heatonians heading down to the midlands in June. It would be lovely to welcome members of the RSC back to our own soon to be even more fantastic theatre before too long. This article was written and researched by Chris Jackson, as part of Heaton History Group’s project to commemorate the 400th anniversary of William Shakespeare’s death. This entry was posted in Research and tagged cinema, Coast Road, Colin Veitch, Edith Veitch, football, Lyric cinema, Minnie Veitch, Norman Veitch, People's Theatre, Royal Shakespeare Company, royal visit, Shakespeare, Stephenson Road, Stratford Grove Terrace, Stratford Villas, theatre on April 22, 2016 by oldheaton. This rare photograph, of the visit to Newcastle in August 1884 of the Prince and Princess of Wales, was taken by Thomas Maitland Laws. This was the visit on which, after passing down Shields Road, North View and Heaton Park Road then through Heaton Park, they officially opened Armstrong Park and Jesmond Dene. Almost all the images you will see of this famous event are drawings and engravings because to take documentary photographs of moving subjects was still a big challenge at that time. Thomas clearly understood the photograph’s commercial value because within a week of taking it, he had registered the copyright. It is, as a result, held in the National Archives, where we found it. Prince and Princess of Wales, Newcastle August 1884. Perhaps you can help us identify where it was taken. 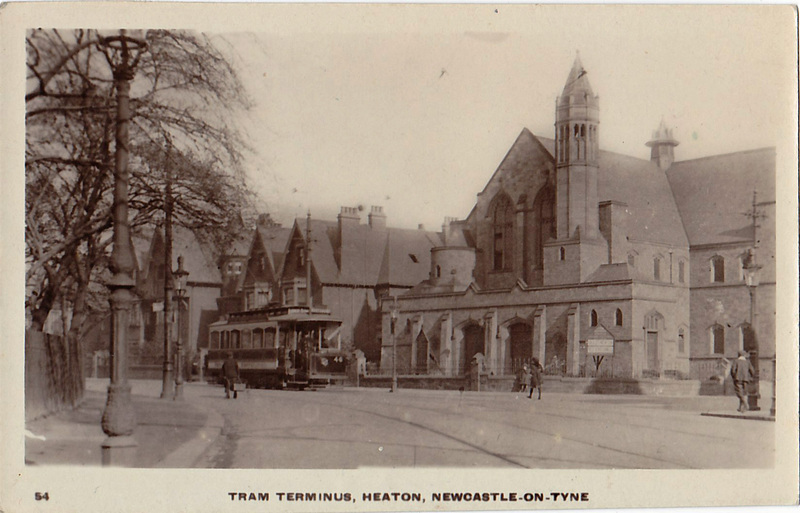 Although Thomas was living in the centre of Newcastle at this time, he later lived in Heaton. During this period, he owned a photography business based on Shields Road West. 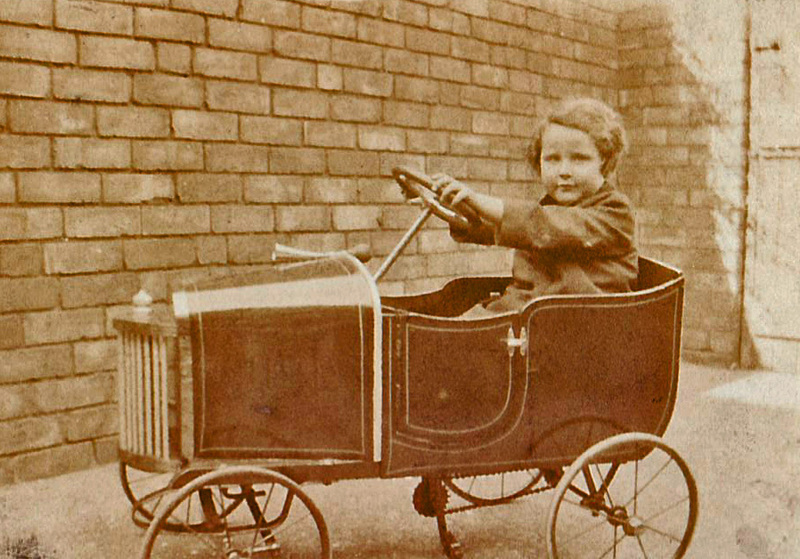 Thomas was born in Paddington on 2 July 1855 to Isabella and Peter Maitland Laws. 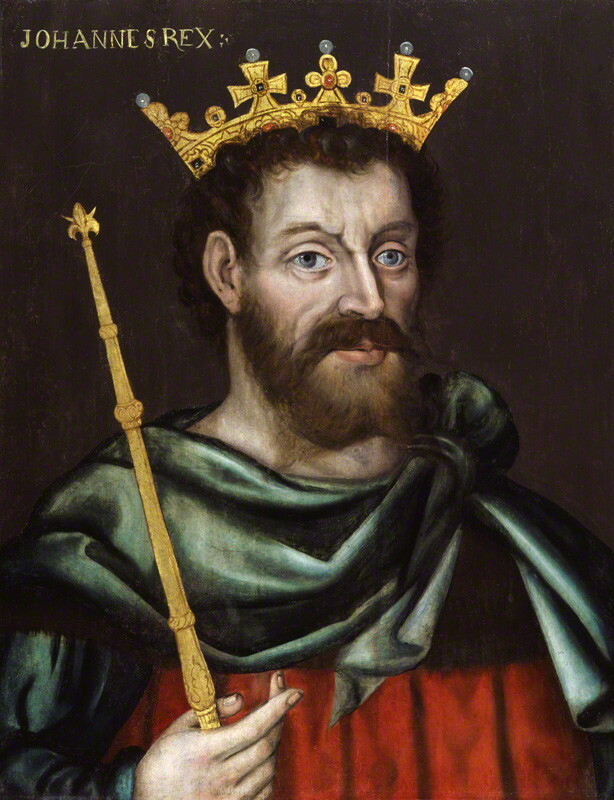 Although both Thomas’s parents were northerners (Peter, Durham born, and Isabella from Cumberland), at this time they were living in London where Peter worked as a carpenter. However by 1861, the Laws had moved back north with children Henry, Thomas, Sarah and Peter. 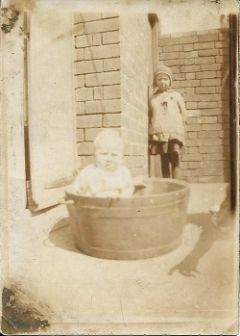 The family lived in Grainger Street in the centre of Newcastle and Peter was now earning his living as a photographer. Thomas was thus exposed (forgive the pun) to photography from a very early age at a time when some of his neighbours and indeed his own father were at the forefront of the development and popularisation of a still new medium. The first mention we have found of Thomas in the press is in July 1867 when, aged 12, he was announced as the winner of the not inconsiderable sum of five shillings, having achieved second place in the ‘Triple Kites’ category of a kite-flying contest on the Town Moor. The previous year a photograph to be taken by his father had been announced as the prize for the various winners. It was two years later after Laws’ first listing in the trade directories, in 1861, that the Newcastle and North of England Photographic Society was formed. Peter was a member of its original ‘council’ and later became treasurer. 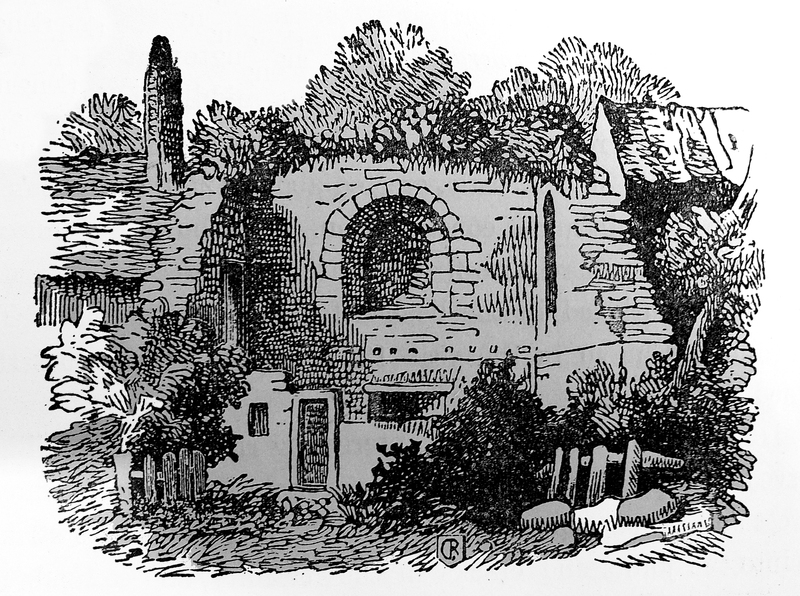 At the society’s first meeting, he presented ‘two proofs of his very beautiful views of the ruins of Tynemouth Priory’. Important technical developments to the art form were still to take place: here in Newcastle in 1864, Joseph Wilson Swan, who owned a ‘chemical and photographic establishment’ on Mosley Street with his brother in law, John Mawson, perfected and patented the carbon process, an early method of producing permanently fixed photographs. It wasn’t for another 13 years, in 1877, that the same inventor perfected dry gelatine-bromide plates which made enlargements possible. But in the meantime, photography was booming, with small photographic visiting cards becoming hugely popular. Laws’ business, by now based in Blackett Street, must have been doing well because, by 1871, Peter and Isabella’s elder son, Henry, had followed his father into the firm, while 16 year old Thomas worked as a lithographer. 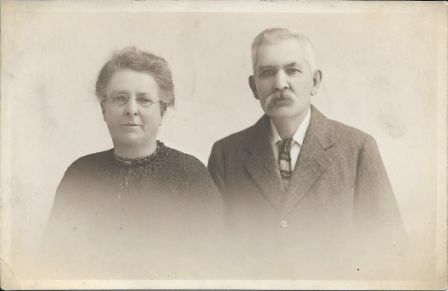 This photograph of Thomas Laws’ grandparents, William (born in Wolsingham, Co Durham in 1793) and Sarah (born in Paisley, Scotland in 1790) dates from this time. Peter Maitland Laws didn’t rest on his laurels. He was said to be one of the first photographers to take portraits using artificial light when he introduced gas lighting into his studio. In 1879, he advertised ‘Portraits in Dull Weather and at NIGHT with Laws’ “light irradiator”‘ and ‘Portraits in winter equal to summer: gas nights, Tuesday, Friday and Saturday 6-8’. And in February 1880, he made history when he used gaslight to take the first ever photograph of a performance at the Theatre Royal. He was experimenting with ‘colour photographs’ at around the same time. Peter’s ability to innovate as well as his photographic skill meant that, not only did his business continue to thrive, but he continued to be awarded personal accolades and prizes. In 1887 two of his award-winning photographs were included in the Newcastle Royal Jubilee Exhibition. Peter Maitland Laws died in 1906. By 1881, aged 26, Thomas had followed his father into photography. He was by now married and living in St Thomas Square with his wife Elizabeth, who hailed from the Isle of Bute. The couple were well enough off to employ a live-in servant. It was around this time of his photograph of the royal visit that Thomas formally became a partner in the family business, which was retitled ‘P M Laws and Son’. In 1887, P M Laws and Son claimed to be ‘the largest and oldest established gallery of photography in the North’. 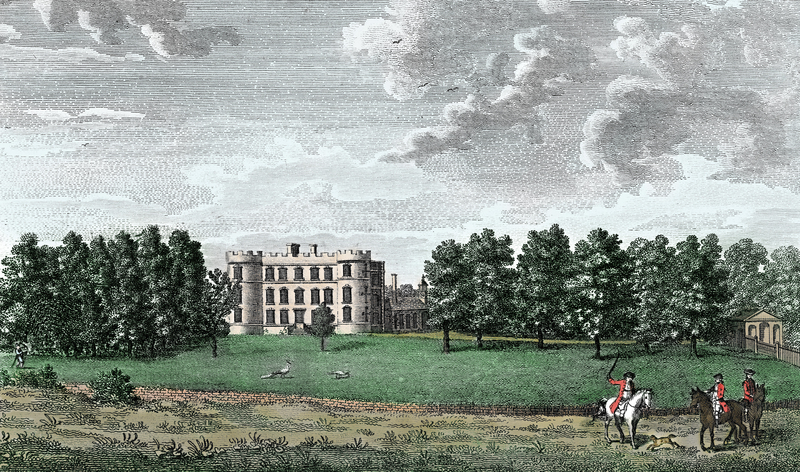 However, whether because Thomas wanted to move out of his father’s shadow or for some other reason, Thomas and Elizabeth didn’t stay in Newcastle. 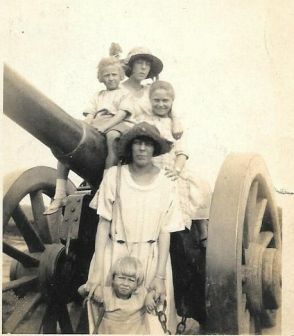 By 1891, they were living in Staffordshire with their young family: Amelia, aged 9; Maitland, 7, and Angus, 3. Thomas’s business was in Darlington Street, Wolverhampton. A number of his photographs from this time are in the National Archives, notably two of Wolverhampton Wanderers 1893 cup winning team. 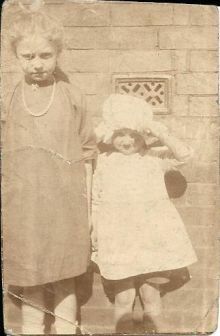 The family returned north, however, first to Cumberland, where Thomas ran a photographic and art supplies shop, and then, perhaps because Thomas’s father, Peter, had died in 1906, to 24 Addycombe Terrace in Heaton, where Thomas was a self-employed photographer once more, with a studio at 42 Shields Road West. 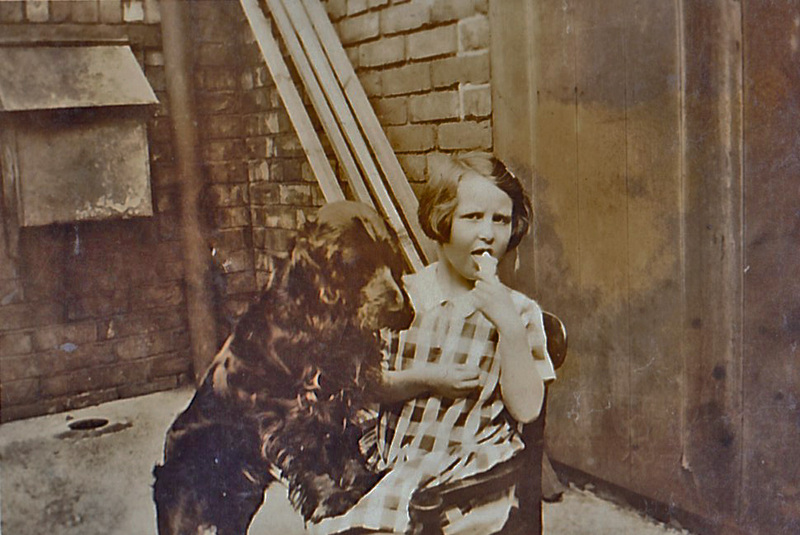 One of his neighbours at no 55 Addycombe Terrace was his younger half-brother, Albert Heath Laws, also a photographer. By 1911 Thomas and Elizabeth’s 23 year old son, Angus Ferguson Laws, worked as his assistant, the third generation of the family to become a photographer. But sadly Angus, a Private in the Grenadier Guards, was killed in France on 27 September 1918, aged 30, just weeks before the end of WW1. He is remembered at the Grand Ravine British Cemetery, Havrincourt. 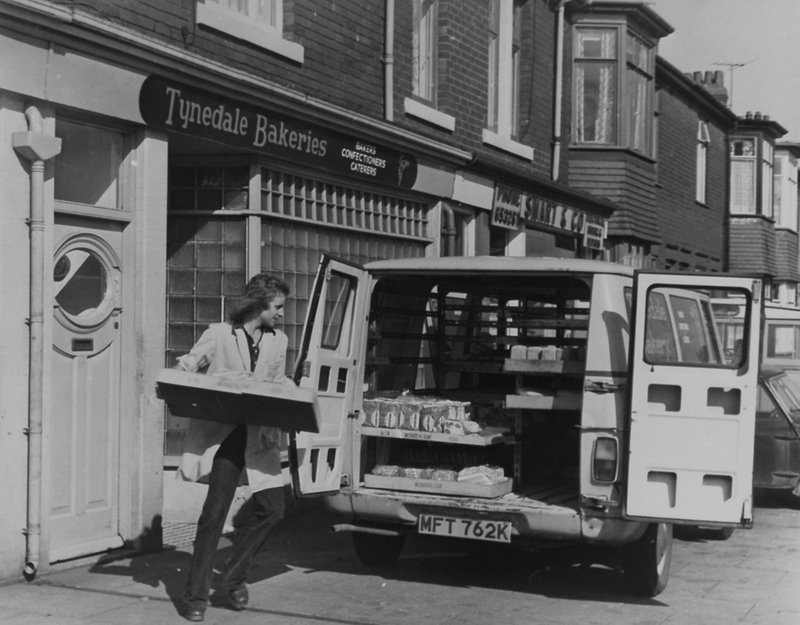 Thomas had moved from Addycombe Terrace to 7 Warwick Street a few years earlier but by 1921 the Shields Road West business had closed and Thomas had moved back to the midlands. 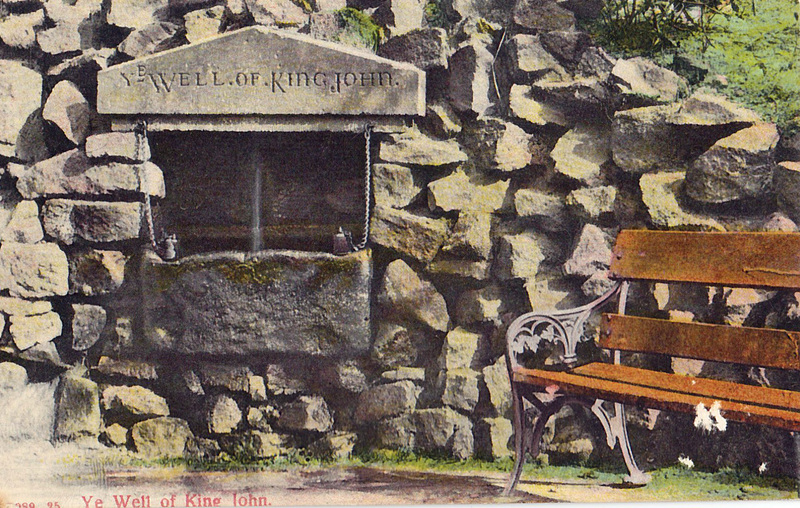 He died in 1928 in Warwickshire. This article was researched and written by Chris Jackson as part of Heaton History Group’s project to commemorate the 400th anniversary of William Shakespeare’s death. There are a number of streets in the west of Heaton which have names associated with Shakespeare: Bolingbroke, Hotspur, Malcolm, Mowbray and Warwick Streets plus Stratford Grove, Stratford Road, Stratford Grove Terrace, Stratford Grove West and Stratford Villas. We would love to discover why they were so named and we will research and write about some of the people who, like Thomas Maitland Laws, have lived or worked there. We are also interested in other connections between Heaton and Shakespeare through its theatres, past and present; writers, actors – and of course, the famous brick Shakespeare on South View West. 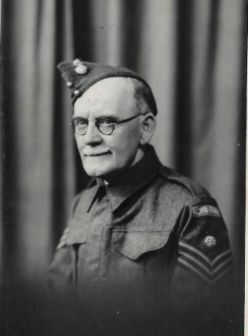 This entry was posted in Group Activites, Research and tagged Addycombe Terrace, Albert Heath Laws, Angus Ferguson Laws, Armstrong Park, Heaton Park, Heaton Park Road, Jesmond Dene, North View, photographer, royal visit, Shakespeare, Shields Road, Shields Road West, Thomas Maitland Laws, Warwick Street, WW1 on February 18, 2016 by oldheaton. This photograph of pupils at High Heaton Infants School was taken in 1935. 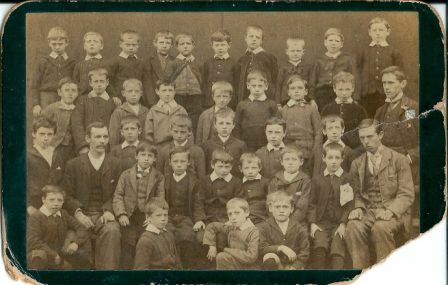 Geoffrey Wedderburn, formerly of 60 Swaledale Gardens, is the boy at the end of the back row and he wonders whether anyone can help him out with other names. He remembers Dennis Hill, Leslie Fox and Tom Fineron from his schooldays but isn’t sure whether they’re in the picture. 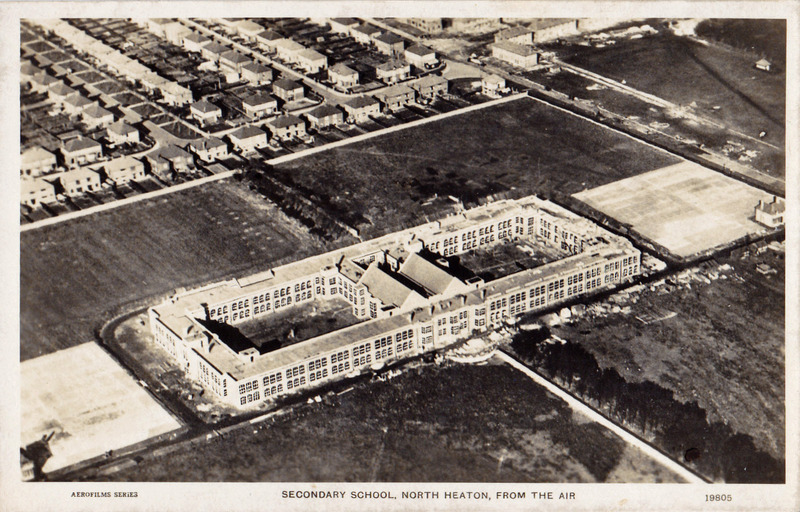 High Heaton Infants School first opened on 20 August 1929 with 164 children on the roll. 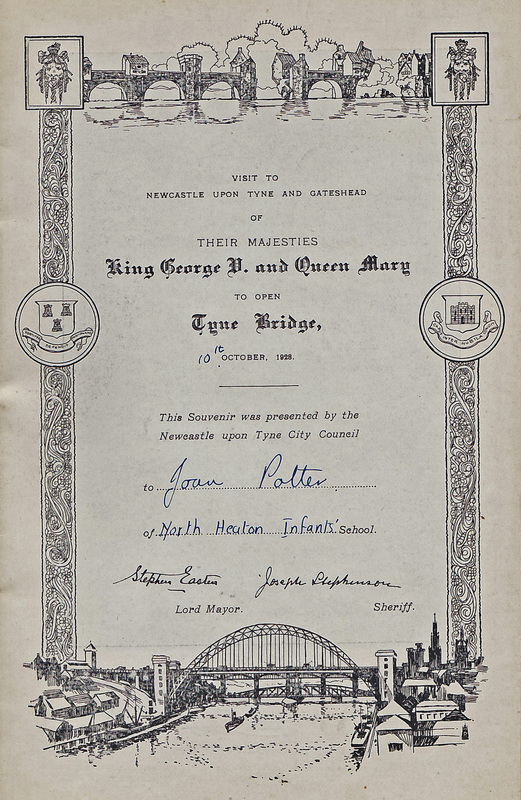 The school records are in Tyne and Wear Archives so we know the names of the first head, Mary L Ken, and her staff that day: Ethel Cooper, Joy Thompson, Alice Bertram Hodgson , Minnie Watts and Jeanie Richardson. 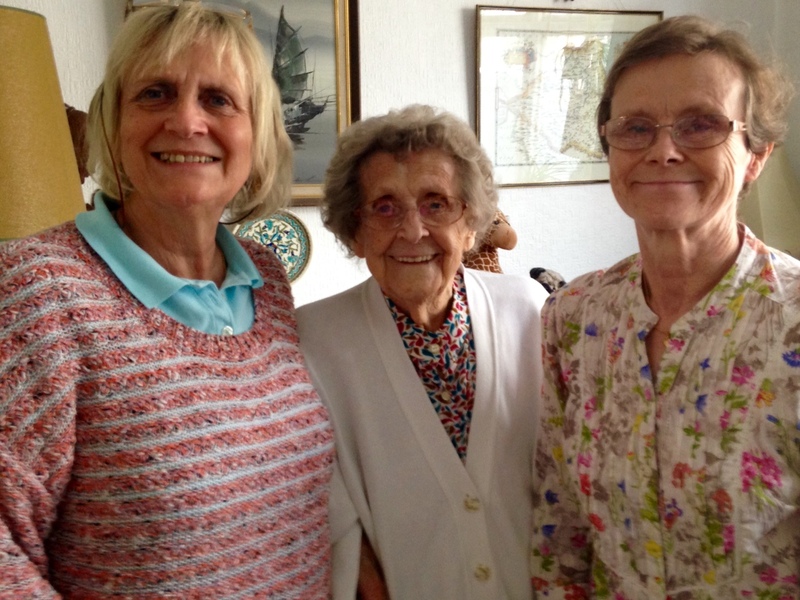 Geoffrey remembers Miss Venters, Miss Hopkins and Miss Darling from his own schooldays. We found in the archives that Miss Caroline Isobel Venters joined the school on 7 April 1934. The school was situated close to where the Spinney flats are now in a wooden building which later became High Heaton library. 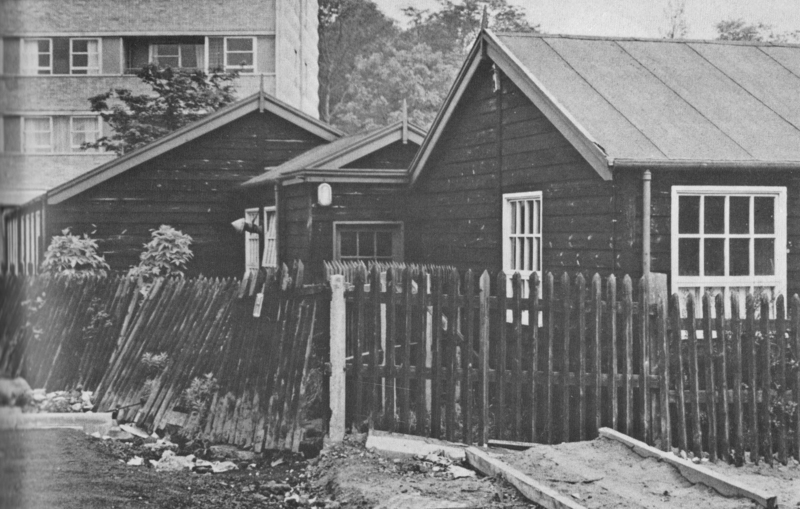 It was known simply as ‘the wooden school’. Geoffrey recalls that the buildings formed 3 sides of a square and that the open side gave access to a grassed play area. He remembers maypole dancing there on one occasion. Geoffrey says that despite the fact the headmistress ruled by terror, he was ‘quite happy at the school and rather sorry when I had to leave’. The log book confirms it was considered a good school. An inspector is quoted in 1935 as saying ‘Good use is made of the adjacent hall for dancing and physical training and the neatly cultivated garden is a valuable addition to the amenities of the premises’. In 1931 another inspector said ‘The children are of a good educable standard, thus some of the handicaps imposed by a poor environment are not felt here’. Reading the entries in the log book, you’re struck by the number of days the children had off to commemorate royal occasions. 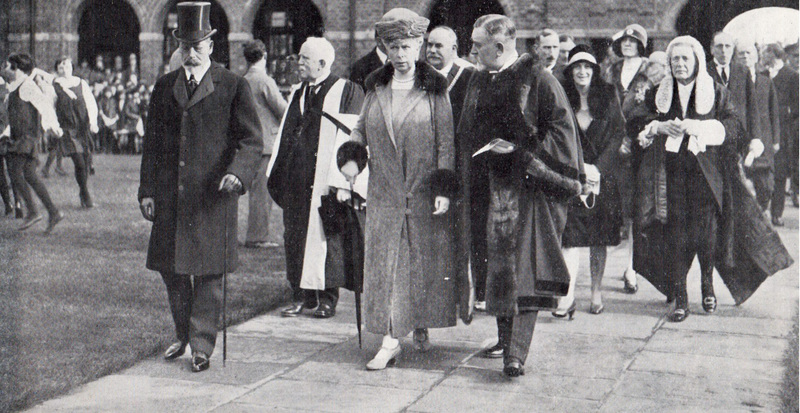 The investiture of the Prince of Wales in February 1934 was especially noteworthy as the head teacher was invited to the ceremony at Buckingham Palace and was granted three days leave to attend. The lord mayor, director of education and chief ‘inspectress‘ visited the school the following week to congratulate it on behalf of the city on the honour bestowed on the head by the king. 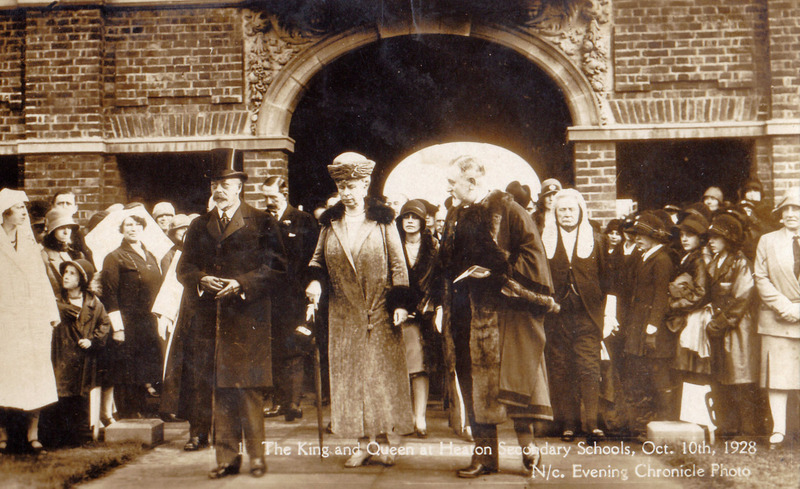 Later in the year, the school shut again for the marriage of the Duke of Kent in 1934; in 1935 there was the wedding of the Duke of Gloucester and then the Royal Jubilee; and the funeral of King George V followed in 1936. All these on top of the usual general and local elections: it’s surprising any of the children learnt to read! 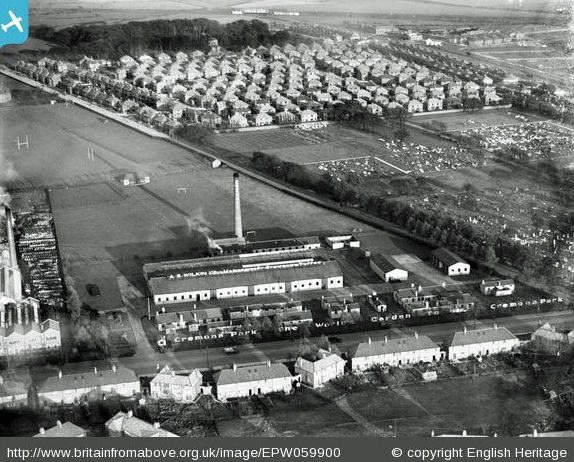 But with the population of High Heaton growing as the city expanded and cleared inner-city ‘slums’, the ‘wooden school’ was too small to cope and it finally closed at midday on 25 March 1937 with Cragside Infants School opening its doors on 5 April. Geoffrey recalled that the opening ceremony ‘was carried out by the very young Princess Elizabeth’. At Cragside, we read of a measles epidemic in 1938 and, of course, the disruption caused by World War 2. 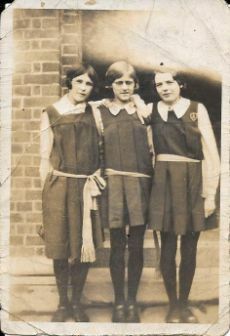 On 1 September 1939, the school evacuated to Morpeth. 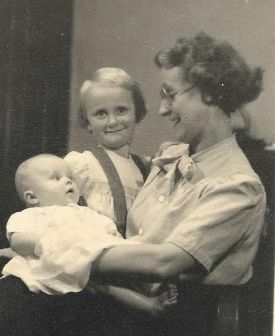 It reopened in High Heaton on 1 April 1940 but on 7 July some children were evacuated again – this time to Westmorland. There were numerous air raid warnings ‘Children went to the shelter provided. No panic or fear or upset of any kind‘ (28 June 1940); ‘Air raid during the night from 1.10-3.00am. No school this morning’ (12 August 1940). On 4 September 1940: ‘Air raid damage near school. Four window panes splintered. the three covered with net did not fall out’. 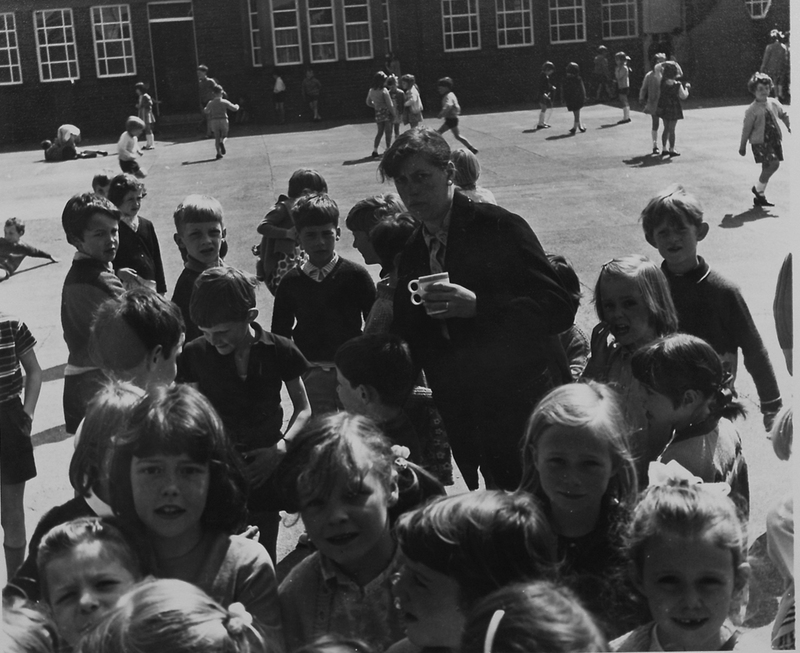 On 1 March 1941 a temporary headteacher was appointed ‘owing to the evacuation of the head mistress, Miss J S Nattress with the school party’. Miss Nattress returned a couple of months later. 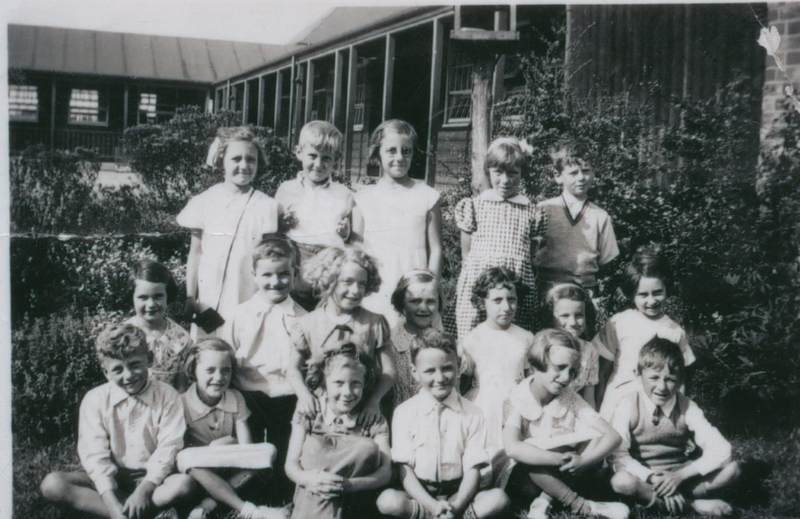 And in 1944 the school admitted evacuees of its own – from London. After the war, things slowly got back to normal. In 1946, the Education Committee granted the school £15 as a victory prize. Garden seats were purchased. The following year brought one of the worst winters in living memory. On 26 February ‘Very heavy snowfall this week; snow drifting on the verandah makes movement very restricted’ On 14 March ‘Storm continues’. On 27 November 1952, children walked with teachers to Stephenson Road, where they saw HRH Princess Margaret passing on her way from launching a ship at Walker Naval Dockyard to Alnwick Castle. But on 5 June 1953 the weather intervened: ‘a coronation celebration picnic on the school playing field was planned but impossible because of the rainy weather. Games were played in the school hall’. A familiar scenario to generations of Cragside children looking forward to sports day! This entry was posted in Research and tagged Cragside School, High Heaton, High Heaton Infants School, High Heaton Library, Isabel Venters, J S Nattress, Mary L Ken, royal visit, Spinney, Stephenson Road, Swaledale Gardens, Torday, WW2 on October 30, 2015 by oldheaton.